And now, we’ve got a lot of work to do! Thank you for supporting MASSiF 2019!! WE ARE NOW ACCEPTING BAND SUBMISSIONS for MASSiF 2019! Fill out our questionnaire here: https://goo.gl/forms/JGHZXgbTyrQVLmxS2. Submissions are open until February 14th, 2019. We’re opening Band Submissions for MASSiF 2019 on December 14! Stay tuned… We’ll post details on Friday! The Massif Music Festival is created and produced by the Massif Music Festival Society, a non-profit, volunteer-run organization. Our Board of Directors includes 6 people, each of whom is in charge of a committee (bands, sound, sponsorship, volunteers, design, promotions). As a non-profit society, we are required to host an Annual General Meeting, and it’s open to the public. We’ll go over the budget and each committee head gives a report, then we vote in new board directors. If you’d like to learn more about us, get involved or become a board member, come to our AGM! Thursday December 6, 7pm at 810 Silica St, Nelson BC. Drinks and snacks will be served. 2018 Photo Gallery is UP! Have a hankering to remember MASSiF 2018 in all its sweaty glory? Head on over to our Photo Gallery or our Facebook page! Humungous, eternal thanks to our incredible sponsors, volunteers, bands and fans. 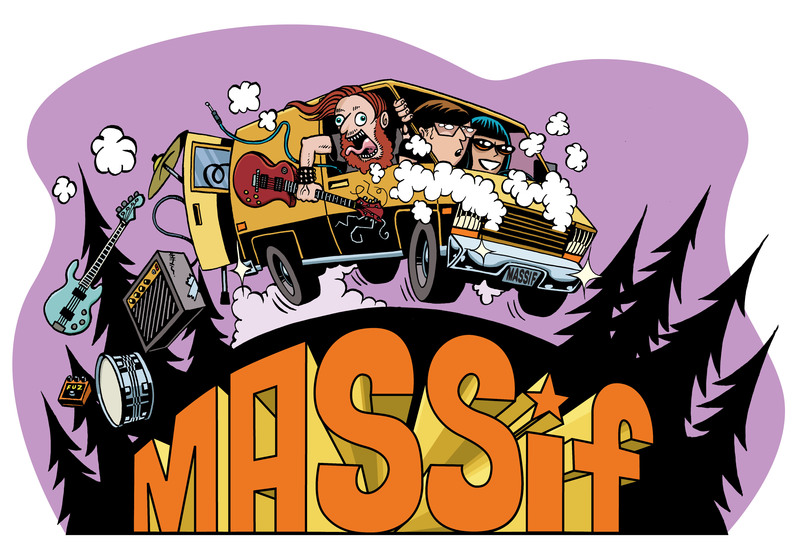 MASSiF is a volunteer-run, non-profit, boutique music festival. It would not happen without your support. MASSiF 2018 was presented by Nelson Brewing Company and Tribute Boardshop. WHO WANTS PIZZA?! Thor’s Pizza is bringing it again this year! Every Massif, Pizza Mike and all his oregano-scented minions keep our bands’ bellies full of delicious pies!! Thank you, Thor’s! !